Dave Portnoy says "ESPN, you just played right into our hands." After Barstool Van Talk cancellation, Dave Portnoy says “How stupid were you to think you could get Barstool without getting Barstool? "In a weird way, it's like 'Oh my god, ESPN, you just played right into our hands. How stupid were you to think you could get Barstool without getting Barstool?' Like, we haven't changed." 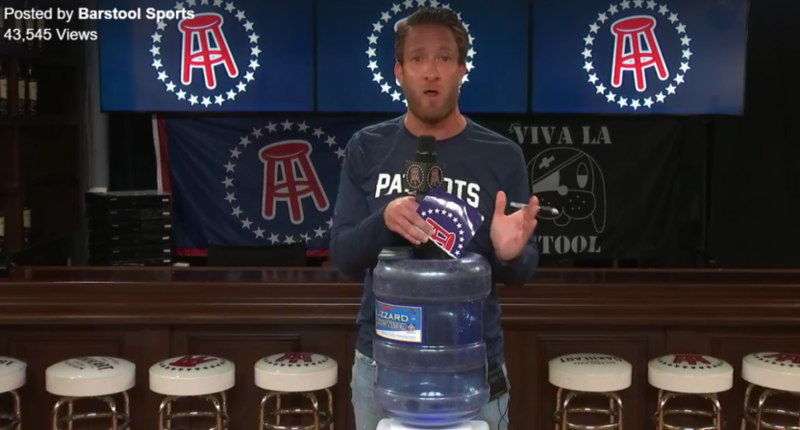 In the wake of ESPN’s cancellation of Barstool Van Talk Monday after just one episode aired, Barstool Sports founder Dave Portnoy took to Periscope and Facebook Live for an “emergency press conference” to address the cancellation. He had some strong words for Barstool’s critics inside ESPN, most notably Sam Ponder and Sarah Spain, blaming Ponder for waiting three years to respond to Barstool’s comments about her and saying that Spain blasted Barstool because she wanted her own show.